4-piece. Perform for total of 2 hours. 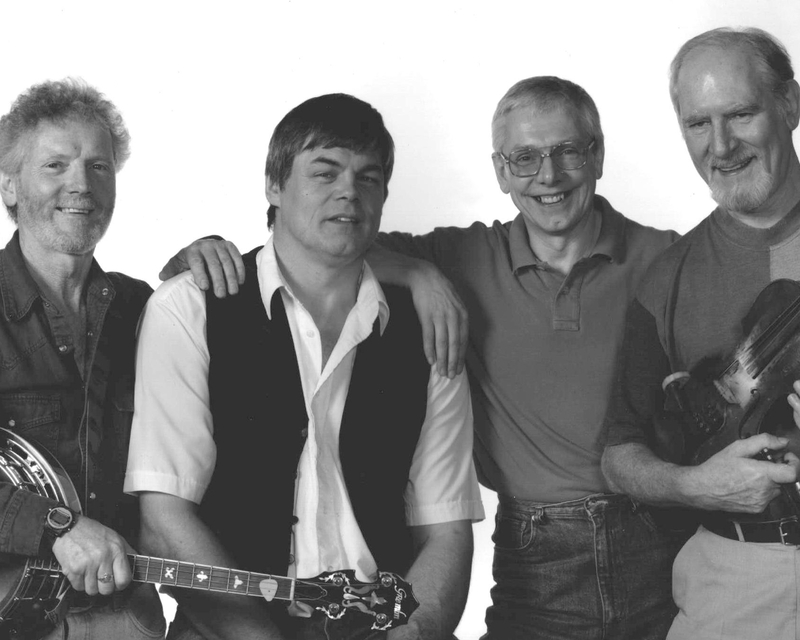 Whiskey In The Jar is a four-piece band playing all the favourite sing-along Irish songs that are so popular in pubs and clubs up and down the country and of course in the Emerald Isle itself! Their repertoire also includes plenty of jigs, polkas and reels. The band’s line-up consists of guitar/vocals, mandolin/banjo/whistles/vocals, bass guitar/bhodran and fiddle/mandolin. They enjoy performing and “like to have fun” and this inevitably rubs off on their audiences. So if you are looking for a night of traditional Irish fare then you couldn’t find a better band! Most common quote: "Thanks lads for the best night we've had in ages!" In the last 15 years Whiskey In The Jar have been regulars on the Irish pub and club circuit in Manchester and Merseyside and have performed in Ireland and at all the Irish centres in the North of England. They also have played in front of TV stars from Granada including Jeremy Beadle, Mathew Kelly and Ross Kelly and Coronation Street’s “Curly Watts” has even performed with the band in the past. Their song list includes waltzes such as Black Velvet Band, Wild Colonial Boy, Isn’t It Grand Boys, The Wild Rover, Galway Shawl; ballads such as Fields of Athenry, Grace, Town I Loved So Well, Green Fields of France; plus jigs, reels, polkas, etc. From the “folk” repertoire come Dirty Old Town, 7 Drunken Nights, Leaving of Liverpool; and popular crowd-pleasers include Mursheen Durkin, Westmeath Bachelor, All for mi Grog, Irish Rover, I'll Tell Mi Ma, Bucket of The Mountain Dew, Irish Soldier Laddie, Rising Of The Moon, Drunken Sailor, Bold O’Donoghue, and McAlpine’s Fusiliers. The band perform for a total of two hours. Whiskey In The Jar are based in Lancashire. See Pricing for details of travel costs, etc.